To the joy of cinephiles who enjoy Indian cinema films, several posters of upcoming films have been released, which hint at what we can look forward to and when they will be releasing. Cinephiles rejoice! Posters for several much awaited films have us even more excited to see these movies on the silver screen than we were before. These first looks have not only managed to pique our curiosity further, but they also give us more details about the upcoming movies. 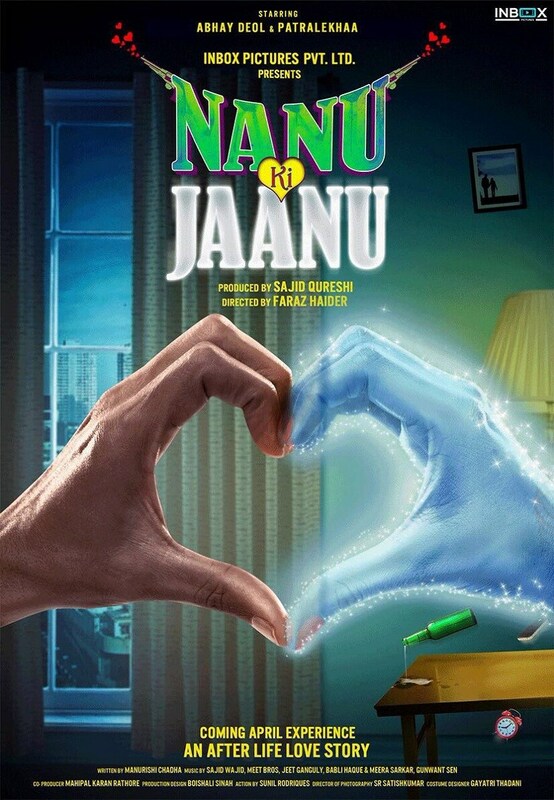 Poster of Nanu Ki Jaanu. Image from Twitter/@@taran_adarsh. Nanu Ki Jaanu sees Abhay Deol and Patralekhaa in the lead roles. 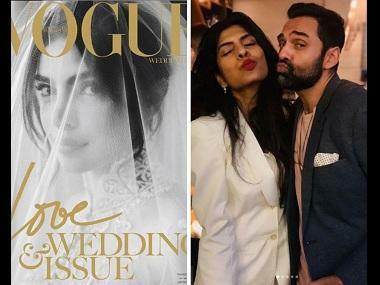 Directed by Faraz Haider, the film is all set to release sometime in April next year. Touted as an "after life love story", the film is presented by Inbox Pictures Pvt. Ltd. and is produced by Sajid Qureshi. The screenplay is by Manurishi Chadha, and the film's music has been given by Sajid Wajid, Meet Bros, Jeet Ganguly, Babli Haque, Meera Sarkar and Gunwant Sen, so once can expect some interesting offerings from the musical department of the movie. 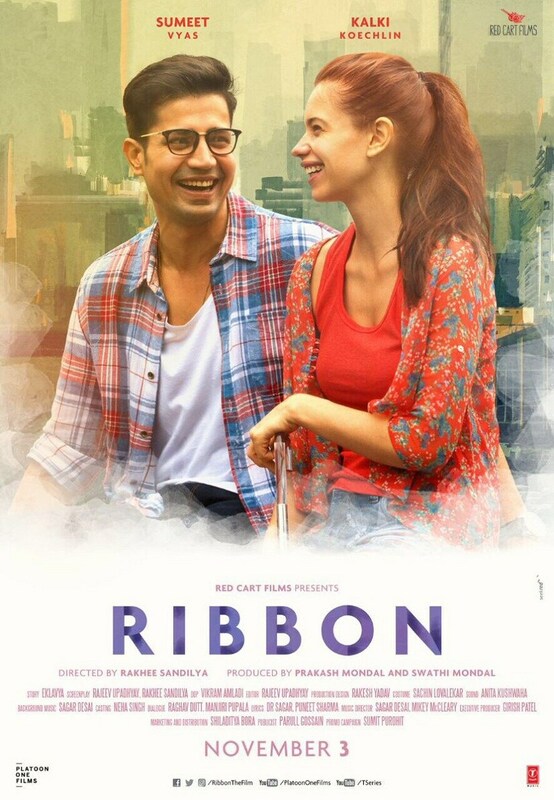 Poster of Ribbon. Image from Twitter/@taran_adarsh. 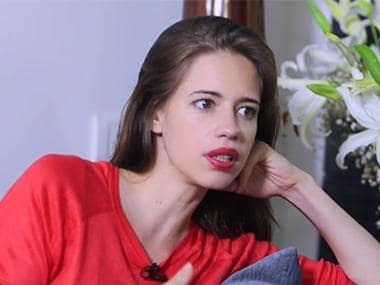 Starring Kalki Koechlin and Sumeet Vyas, Ribbon is directed by Rakhee Sandilya and is presented by Red Cart Films. Swathi Mondal and Prakash Mondal. The film's screenplay is written by Rajeev Upadhyay and Sandilya. The background music for the film has been provided by Sagar Desai. Ribbon is all set to hit the silver screens on 3 November. Poster of Mehbooba. Image from Twitter/@purijagan. Films details of Mehbooba. Image from Twitter/@purijagan. 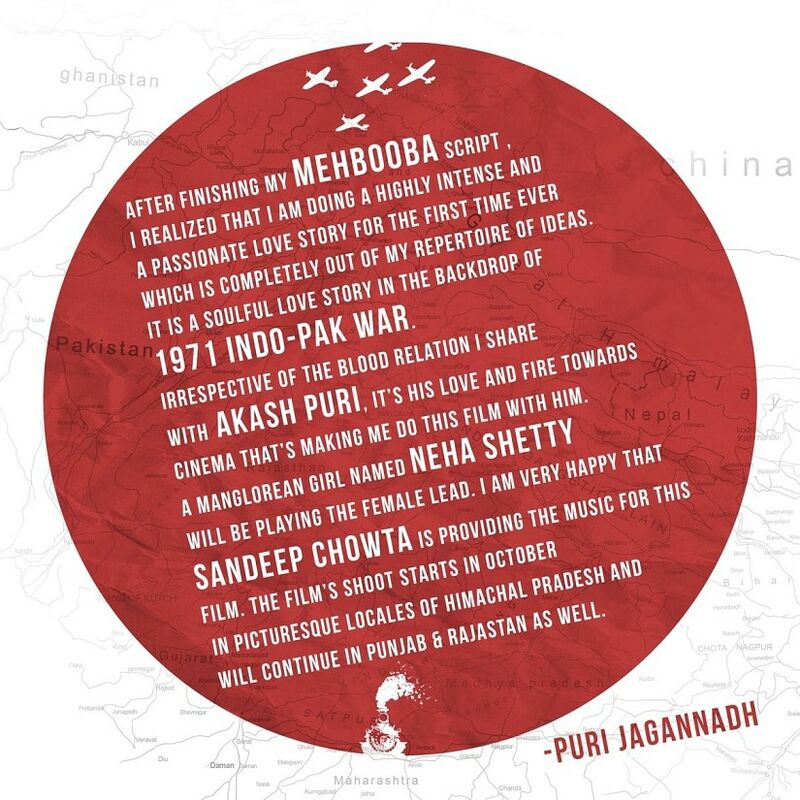 Mehbooba is Puri Jagganadh's much awaited, upcoming film which will star Akash Puri alongside a Manglorean girl called Neha Shetty who will play the female lead. Sandeep Chowta is providing the background score of the music. Mehbooba is expected to go on the floors in October and will be shot extensively in Himachal Pradesh, Punjab and Rajasthan. 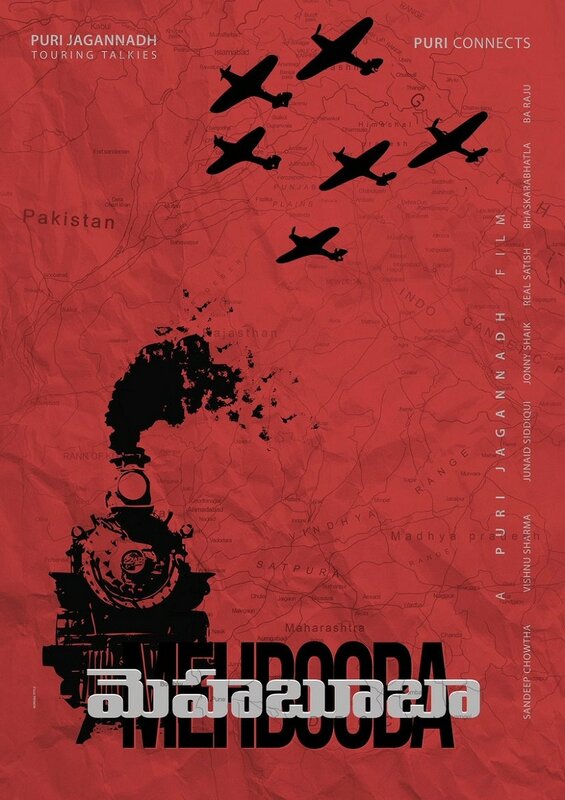 The film is an intense love story set in the backdrop of the 1971 Indo-Pak war. The film is presented by Jagganadh's production house Puri Connects. 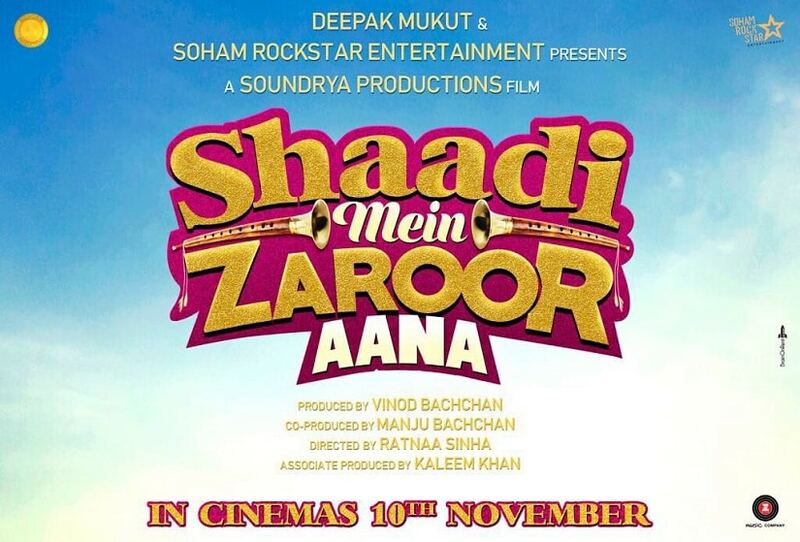 Poster of Shaadi Mein Zaroor Aana. Image from Twitter/@taran_adarsh. Starring Rajkummar Rao and Kriti Kharbanda, Shaadi Mein Zaroor Aana is all set to hit cinema screens on 10 November. Directed by Ratnaa Sinha and produced by Vinod Bachchan, the film is presented by Deepak Mukut and Soham Rockstar Entertainment.